That’s kind of what happens in your head. 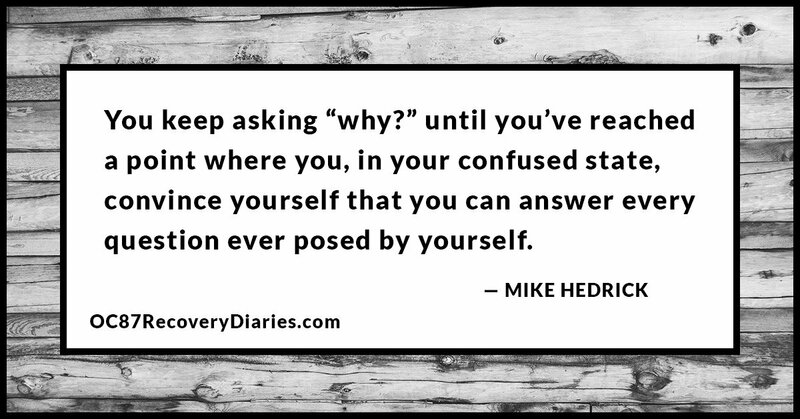 The problem is, you keep asking “why?” until you’ve reached a point where you, in your confused state, convince yourself that you can answer every question ever posed by yourself. This seems a little convoluted so let me try to break it down. Essentially, you’re on the feverish hunt for answers about why things are the way they are. Take, for example, an instance where an attractive person rejects you. You ask “why?” and you inevitably come to conclusions that have no basis in reality. She rejected you because you’re ugly, you think. Pretty soon, this notion that you’re ugly get’s embedded in your head and sticks like KrazyGlue. Why? Maybe your physicality is the crux of your insecurity. A little later down the line you start to notice that things are happening when this notion that you’re ugly comes up in your head. 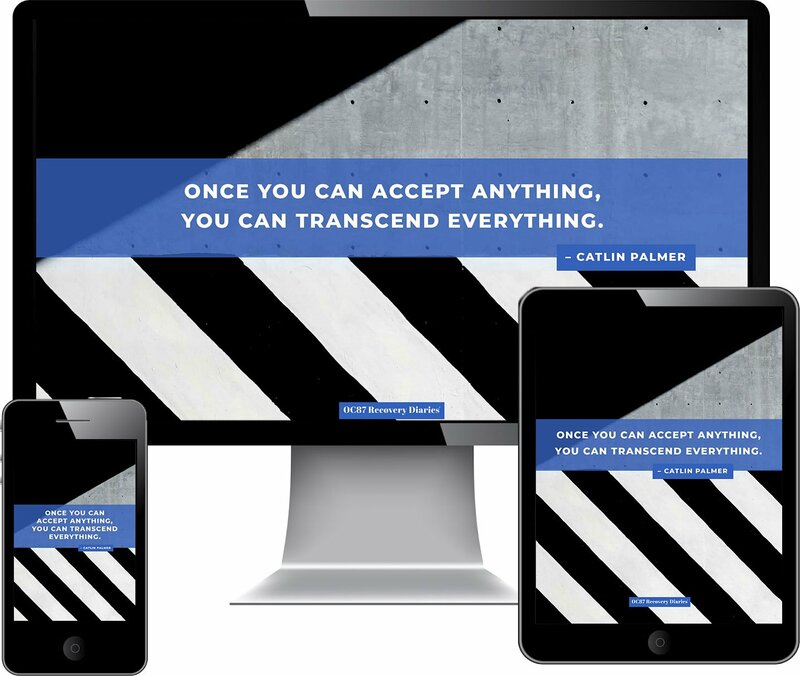 Now, keep in mind that you’re in a heightened state and you’re hyper-aware of everything that you’re thinking and feeling. Anyway, you start to think about how ugly you are and you hear a noise– pots banging or the neighbors’ music– and it starts almost exactly when you started thinking, in that moment, that you are ugly. Obviously, the noise is a confirmation of some kind. Pretty soon, you start looking for these supposed indicators of confirmation; a sound or a movement, or some second meaning of a street sign and everything seems to tie back to the fact that you’re ugly. Essentially, everything connects to the universal notion that you’re ugly. I never struggled with the notion that people thought I was ugly but I’ve heard that it’s a common manifestation of paranoia. My problem was that I thought people were making fun of me because I looked or acted weak. I’d walk into a bar or a restaurant and I’d hear laughter, or someone would look at me funny. I would ask myself: why had this little slight or this laughter happened the moment I walked in, and I would inevitably conclude that the people in the place had noticed something about me that I couldn’t control and they had made an assumption about me. Let’s stop here, because it’s easy to get engrossed in these notions and it’s important to know that they are just a function of your illness and are tied only to this overarching insecurity you have. 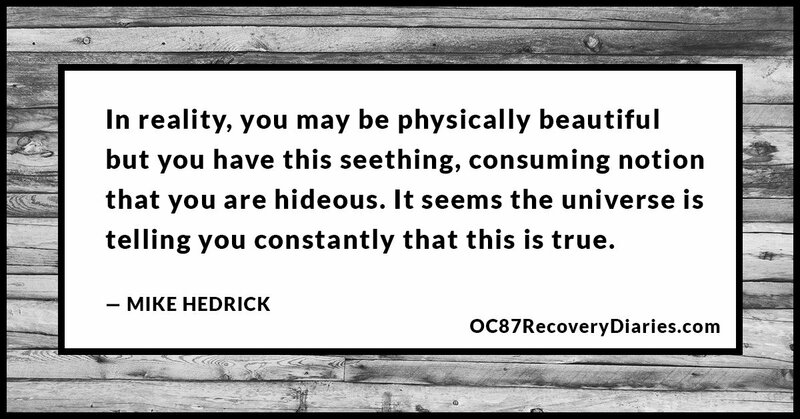 In reality, you may be physically beautiful but you have this seething, consuming notion that you are hideous. It seems the universe is telling you constantly that this is true. Now, if all this is connected, you start to wonder about the connections between everything else. Pretty soon you’re looking fervently for the smallest, most mundane indicators of connection to this thought, and these are almost never based in reality. “Coincidence” becomes your favorite word because it so concisely describes what you are sure is happening. You start looking for connections in everything and in every snippet of news you read or every song you hear on the radio and, before you can say “Dan Brown,” you’re neck deep in conspiracy theories about the Illuminati, aliens and lizard people. Everything ties back to this core belief that you are ugly or that people are making fun of you. Coming back to reality, in my case, has been a long exercise. Sometimes, I have to step out of the situation to get a bearing on things and to place my feet on the ground. It’s all too easy to fly off into your own thoughts, especially when you feel like those thoughts aren’t even yours. There are ways, though, that you can back into reality. You can ask the person you’re with if they notice anything strange or if the things you are thinking are based in reality. Most of the time they’re not. Having someone with you to sort these things out (referred to as “reality-testing”) can be a great boon. That helps in the moment but there comes a point in your recovery when you have to start separating the randomness of the world and the state of things from the belief that everything is connected. The simple truth is that the world and every thing that happens is just a state of chaos with no real rhyme or reason. This can either be scary or an immense relief. The world, by and large, is much more boring and easier to deal with when the majority of things you encounter in your daily life aren’t connected and are, at most, coincidences. Some people, however, are too far down the rabbit hole to realize that. A person with anosognosia is someone who is so ill that they are not even aware that they are ill and so they continue on this path of finding coincidences significant and making connections that no rational person would make. The emotional toll of caring for and trying to help individuals with anosognosia is often too much for even the most dedicated family members and, oftentimes, those family members give up. Pretty soon, there’s little hope left. 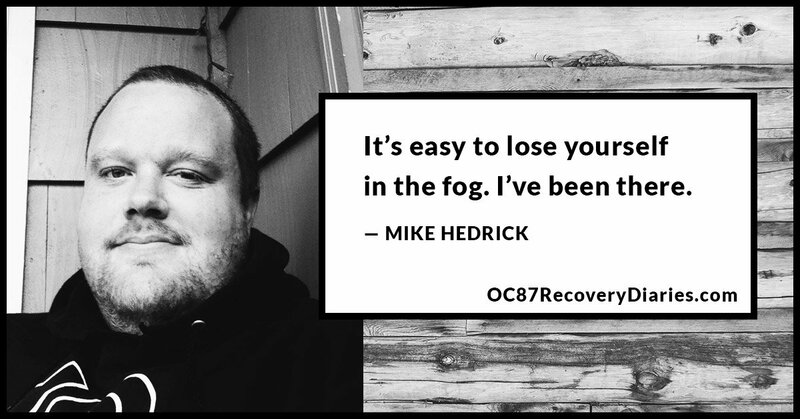 It’s easy to lose yourself in the fog. I’ve been there. I’ve made conclusions and decisions based on the paranoia I was feeling and, looking back, these decisions didn’t have a strong basis in reality. There was even one time I almost got a restaurant worker fired because I thought he had called me a puta (Spanish for “whore”) and I sent an email to the corporate headquarters of the restaurant because I was so distraught over an instance that may well have just been a skewed paranoia. Making connections can lead to other things such as delusions of grandeur by making someone believe that the so-called “truths” they are forming about the world make them able to see things that others cannot see, and know things others cannot know. These indications that they see, these connections that they are making, combined with paranoia can make someone believe that they are being communicated with by some higher authority– maybe God, maybe the FBI. In some extreme cases, these individuals can even believe that these higher authorities are after them because they are uncovering top secret truths that no one can access. It’s all too easy to start a blog and when someone who’s making connections has access to a public forum they may share things and start to believe that what they are saying matters to influential people. They see that people have read their ramblings and they feel fueled by that recognition to continue seeking connections and losing their grip on reality. The internet also has all sorts of secret corners where other people are doing the same thing so “community in delusion” is not hard to find. The truth of the matter is that the connections people make under mental illness are a facet of psychosis. It’s indicative of a loss of grip on reality and it may be insidious. If you notice this in a friend or family member it may be worth your time to seek out help for them, perhaps involuntarily. With meds and therapy, your friend or loved one may eventually start to tease out their notions of connectedness into a firmer basis on reality. It will take time but it’s important to get the help before the person becomes a danger to himself or others. 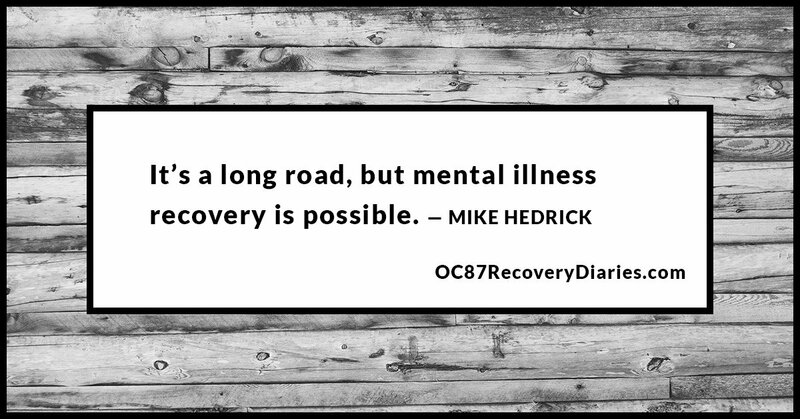 It’s a long road, but mental illness recovery is possible. What is your mental health "wish list" for yourself in 2017? How would you like to grow personally? Where will you look for inspiration and strength?